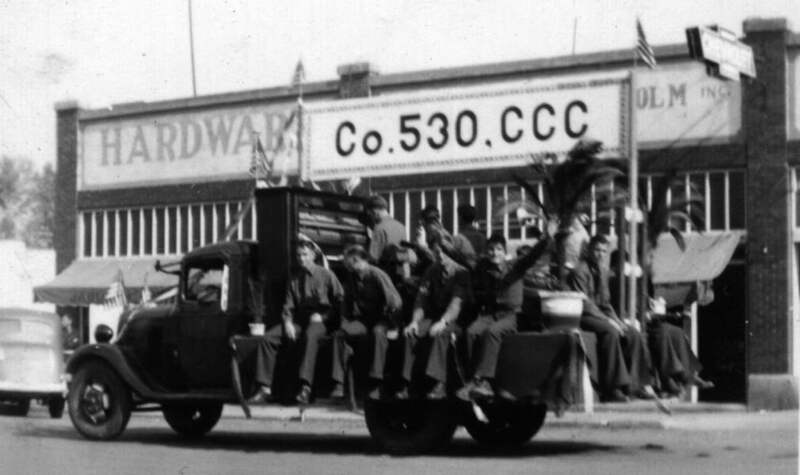 CCC men from Company 530 on a company truck in a parade, presumably in Libby, Montana. Given the warm weather dress of the boys, and the American flags on the front of the truck, this must be a Fourth of July Parade. Two of the boys play music, one a piano and one a guitar, while the rest wave. I would not be surprised if they sang as well, but they do not seem to be doing so here.